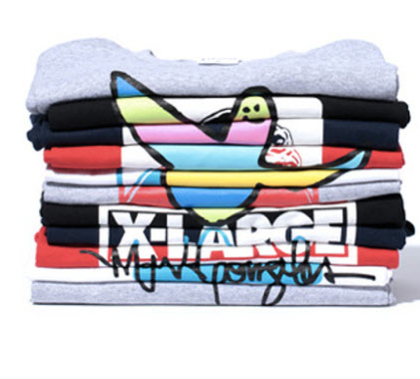 Skateboarder Mike Gonzalez, best known to the world as Gonz, collaborated with Streetwear legend X-Large on this shirt above. I'm a fan of the presentation here - folding 10 different shirts at different angles is a dope way to show the entire image that is presented on the shirt. Available in X-Large stores soon.